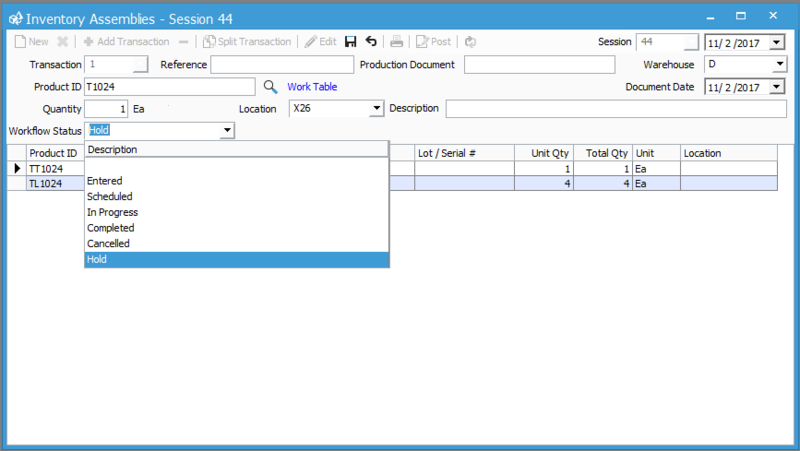 Acctivate gives the user the ability to modify not only the workflow for sales orders, but also on Assemblies as well. 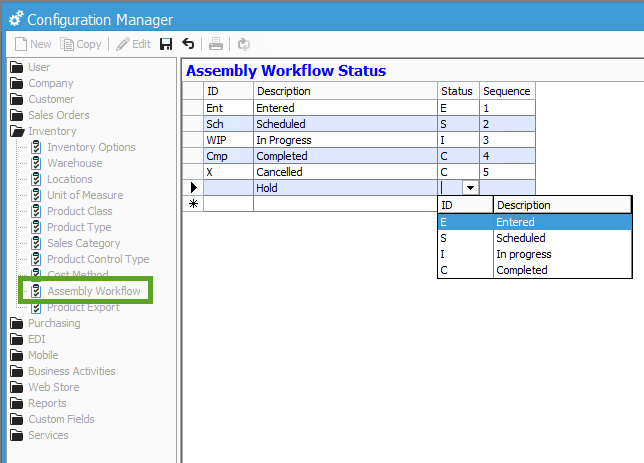 If you need to add a new assembly workflow status, you can do that by going to File > configuration manager > Inventory > Assembly Workflow. Once you are at the assembly workflow window, click EDIT at the top left to add a new line. You have the ability to give the workflow an ID, Description (this is what will appear on the assembly work flow status drop down), status and a Sequence. There are a different statuses that can be chosen on the Status drop down column. These values are static and cannot be changed or updated at this time. The status should correlate to what the Description should be similar to. Example, “Hold” might be related to scheduled. Once that’s been added, you can change the sequence in which this option might appear in the menu. In this example, sequence 6 would appear last on the list. Once that’s entered click SAVE. Once the new workflow has been entered, you will be able to see this on the inventory assemblies window under Inventory > Inventory Assembly.